Whether the motive is saving the environment or saving money, companies are embracing supply chain sustainability from the ground up. Sustainability is rising. Born out of global concern over climate change, on April 22, 2016, a record 175 countries signed the Paris climate agreement, voluntarily pledging to cut greenhouse gas emissions. Businesses are paying attention. A 2014 McKinsey & Company survey asked respondents about the actions their companies are taking to address environmental issues, and practices they use to manage sustainability. CEOs were twice as likely as they were two years before to see sustainability as a top priority, according to survey results. Their stated motivation in 2014 was aligning sustainability with the organization’s goals; two years prior, cost cutting was the primary motivation. When it comes to green and sustainable supply chains, though, cost cutting is still the driving force. Sustainability is not always to help the environment,” says Patrick Penfield, professor of practice, supply chain management, at Syracuse University’s Martin J. Whitman School of Management in Syracuse, N.Y. “Every dollar saved through supply chain sustainability efforts is a dollar for profitability. Whether companies are embracing lean, green, and sustainable supply chains to save money, protect the environment, or because customers and employees want them to, there is no question that technology makes it possible to implement changes large and small that have a positive environmental impact. Green opportunities abound. From reducing energy consumption and carbon emissions to using less packaging and more environmentally friendly materials, businesses are making significant and often innovative changes that offer a win-win: reducing carbon footprints while often saving money. As one example, Dean Nelson, founder and owner of the four-store chain, refused to respond to shopper demands to carry the popular Keurig K-cup coffee pods until the beverage company offered a recyclable option. “We’re about raising consciousness, developing staff, and educating customers,” Nelson says. Dean’s also demonstrates its commitment to sustainability by using eco-friendlyboxes, flatware, and coffee cups at its hot bar. It plans to begin offering reusable glassesat its juice bar, so customers can get a smoothie using their own glassware, with saving incentives. Nelson notes that verifying sustainable practices among food suppliers is particularly challenging. Samarth Sarthi, CEO at SCA Technologies, a Pittsburgh-based category sourcing and cost management solutions provider, agrees. “Supermarkets often buy through aggregators so they don’t know who or where the products come from,” says Sarthi, whose company provides supply chain software to restaurant chains. Add the challenge of not knowing enough about your supplier’s suppliers and how that impacts your supply chain. 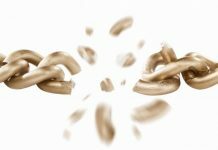 “While a number of companies are starting to address this, many still don’t realize the full impact of how a disruption at that end of the chain can affect them, and where they might be susceptible,” says Toby Brzoznowski, executive vice president of LLamasoft, a supply chain design software company in Ann Arbor, Mich. When Celebriducks owner Craig Wolfe wanted to create a baby-friendly rubber duck made from non-PVC material, he brought manufacturing back to the United States from China so that he could retain tight control over materials sourcing. I wanted full supply chain transparency and didn’t want to leave anything to chance, says Wolfe, founder and president of the California company. He collaborated with PolyOne, an Ohio global plastics compounder, to develop an end product made of material approved for food contact and medical application. Like Wolfe, many companies are focusing on supply chain elements they have more control over, including transportation. This is where technology is having a significant impact, as any transportation management system (TMS) provider will explain. By using sophisticated software, shippers can optimize modes and loads—shifting from over-the-road only to intermodal, or changing trucking equipment, for example. Some companies are getting innovative, too. For example, Texas-based logistics services provider Transplace helps shippers save money and reduce the number of shipments with its co-shipping service, TransMATCH. A specific initiative that delivers products from Mexico to the United States by matching heavy cargo, which prevents trailers from being fully loaded because of weight restrictions, with lightweight cargo that fills the empty space above the heavy products, TransMATCH was recognized with a Supply Chain Innovation Award from the Council of Supply Chain Management Professionals. “With this service, we combine heavy products such as tile or home appliances with much lighter ones ladders and plastic cups in rail cars and trucks,” explains Ben Cubitt, senior vice president, consulting and engineering for Transplace. The company is seeing more collaboration like this among shippers. Cubitt cites a situation where three consumer products companies with Atlanta distribution centers were delivering to the same customer in another part of the country. By combining their shipments, rather than shipping separately, they were able to use fewer trucks and save money. This has a positive impact on their shared customer, as well. “If I reduce the number of deliveries that customer has to handle per day by cutting the number of deliveries by 40, that’s 40 fewer unloads the customer has to handle,” he says. Sherwin Williams of Cleveland, the nation’s largest specialty retailer of paint and painting supplies, leverages Transplace’s resources to support its fleet backhaul program. The paint company’s Contract Transportation Systems Co. (CTS) subsidiary is a private fleet that runs 60 million miles annually, delivering products from company distribution centers in six regions to 4,100 stores all over the country. Rather than bring those trucks back to the distribution center empty, a dedicated sales team finds loads to pick up near destination stores and deliver on the way back to each truck’s home base. AFN Logistics, an Illinois-based third-party logistics provider, recently used a simulated supply chain to help a beverage manufacturer save 13.8 percent on transportation hard costs related to shipping to its largest retail customer. After a data dump that went through a quantitative and qualitative assessment, AFN built a two-stage simulated transportation solution with the manufacturer’s and customer’s existing requirements. When the manufacturer implemented the simulated recommendations, it cut 6.5 percent in hard costs during the first phase, according to Brian Winshall, AFN’s executive vice president. 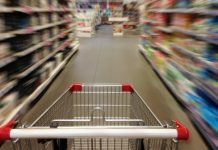 When it adjusted the customer’s must-arrive-by date in the second phase, it generated another 7.8 percent savings on top of previous cuts. The beverage manufacturer also increased on-time delivery, eliminated chargebacks for late deliveries, and reduced the number of shipping days from seven to three—and then again down to two. The beverage manufacturer thought it was doing a good job before working with us and it was, but there’s always a point where you can do a little better, especially when you’re not addressing a core competency in the organization, says Winshall. Transportation changes such as using lighter trucking equipment for heavy goods that include bottled water and canned goods can also reduce carbon emissions, Cubitt points out. With that approach, the shipper can add more products before reaching the legal weight load, thereby reducing the number of shipments. In addition to reducing energy consumption on the road, some companies are reducing it within the operation. Dean’s Natural Food Market, for example, spent nearly $60,000 to completely convert one store to LED lighting one year ago. The project, which encompassed the sales floor, stockrooms, refrigerated cases, and walk-in coolers and freezers, saves nearly 60,000 kilowatt hours and $13,000 in energy costs annually. The company’s fourth store, opening soon, will also be all-LED. Avnet, Inc., a global Fortune 500 technology distributor based in Phoenix, is also switching from incandescent to LED lighting in facilities as they’re refreshed. In addition, the company is partnering with Mother Nature to generate some of its own power. The solar parking canopies it has installed in its Phoenix distribution center parking lot and an office building in Tempe, Ariz., serve two purposes. First, they minimize the impact the region’s brutal sunlight has on vehicle interiors, making them significantly more comfortable at the end of the work day. Second, solar panels installed on the canopy tops generate power that is used by the facility or returned to the grid for a utility credit. At the Tempe location, the 3,724 solar panels installed on the parking canopies as well as the roof generate more than 1.7 million kilowatt hours of electricity per year—about 60 to 65 percent of the facility’s energy load. The project saved Avnet approximately $130,000 in utility costs during its first year; utility savings are expected to exceed $5.8 million over the next 25 years. The Tempe solar panels also reduce the company’s carbon emissions by 996 metric tons annually (the equivalent of removing 210 cars from the road each year). At New York City-based commercial real estate services company Cushman & Wakefield, Ben Conwell is seeing more companies working to minimize their facility’s environmental impact not only by harnessing solar power, as Avnet does, but by addressing stormwater runoff, as well. Conwell, senior management director of the company’s e-commerce and electronic fulfillment specialty practice group, says that distribution centers and warehouses often have “a tremendous amount of impervious surfaces”—roofs, driveways, and employee and trailer parking lots, for example. Today, many facility designers are working to handle runoff in a more environmentally friendly way. This is possible because new materials eliminate long-term, expensive maintenance issues with earlier potential solutions, including surfaces cracking under heavy weight. Shippers are also looking for ways to create a greener, more sustainable supply chain through packaging changes—using less, recycling more. Glass House Shirt Makers, a Brooklyn-based contemporary menswear manufacturer, went minimalist from the beginning. Founder Daniel Bernardo, who started the company after working as a sustainable development consultant, even selected a business name linked to sustainability. “Glass communicates our goal of transparency as a company from crop to finished garment,” he says. Glass House reduces packaging when shirts are shipped from the contract manufacturer in Chicago to the Brooklyn headquarters and again to retailers. The traditional packaging approach from manufacturer to warehouse puts shirts in individual poly bags, but Glass House requires that they be hung on re-usable hangers and packed in re-usable wardrobe boxes. After a quality inspection, shirts are re-packaged for store delivery or mail order without the traditional cardboard stays, tissue paper, pins, and poly bags typically used for men’s shirts. When shipped to stores, folded shirts are packaged together in a single large poly bag. For mail order, each shirt is individually bagged and shipped in a reusable padded mailer. Even the hang tags are made of a recyclable polymer base that biodegrades in a landfill in six months, Bernardo says. Avnet has also invested in more eco-friendly packaging changes, starting with re-engineered cardboard shipping packages that take advantage of technology, allowing the same level of product protection but with a lighter cardboard. A new design combined with thinner cardboard has made a significant impact. “We save thousands of pounds of cardboard and reduce emissions because we transport less bulk and weight,” says MikeBuseman, Avnet’s chief global logistics and operations officer. In addition, when circumstances permit, Avnet returns certain packaging used with products delivered to its distribution centers—pallets, totes, and larger-form packaging that can be broken down and later re-assembled—back to the supplier for re-use. “This only works when the supplier is close enough to make it feasible from a fuel and carbon emissions standpoint,” Buseman adds. Product returns reverse logistics are also a factor in a green and sustainable supply chain. According to Optoro, a Washington, D.C., software company that provides retailers with cloud-based, multi-channel selling technology, the environmental impact of the 3.5 million products that consumers return every year is 4 billion pounds of waste and 11 million metric tons of carbon emissions. “Most stores, including the large retailers with old systems and a lot of storefronts, don’t have the capacity to manage this in a way that’s financially substantial or environmentally friendly,” says Ann Calamai, Optoro’s director of sustainability. Returned merchandise usually goes back into inventory, gets liquidated, or is donated or thrown out, she says. In addition, inefficient returns systems contribute to energy waste and pollution. Optoro’s systems that help find new homes for returns include a direct-to-consumer retail site, Blinq.com, and a liquidation sales site, Bulq.com. Decreasing waste by 60 percent by relying less on liquidators. Reducing fuel use by 30 percent and cutting emissions by 27 percent by eliminating extra steps involved in selling to wholesalers or liquidators and selling directly to consumers instead. Shifting from disposing or recycling 21 percent of goods to re-selling 91 percent of the returned or excess inventory directly to consumers. Software plays a major role in creating a more sustainable supply chain, whether it’s in managing returns, identifying optimal transportation options, or designing a digital supply chain that helps a company identify and prioritize opportunities. But people are important, too. And whether the shift to sustainability is motivated by a concern for the environment, customer requirements, reputation management, employee satisfaction, or cost savings, the Paris Agreement foreshadows the reality that improving supply chain sustainability might not be optional in the future. The good news,” says Cubitt, “is that a high percentage of the initiatives that drive sustainability will also drive process improvements and cost savings.